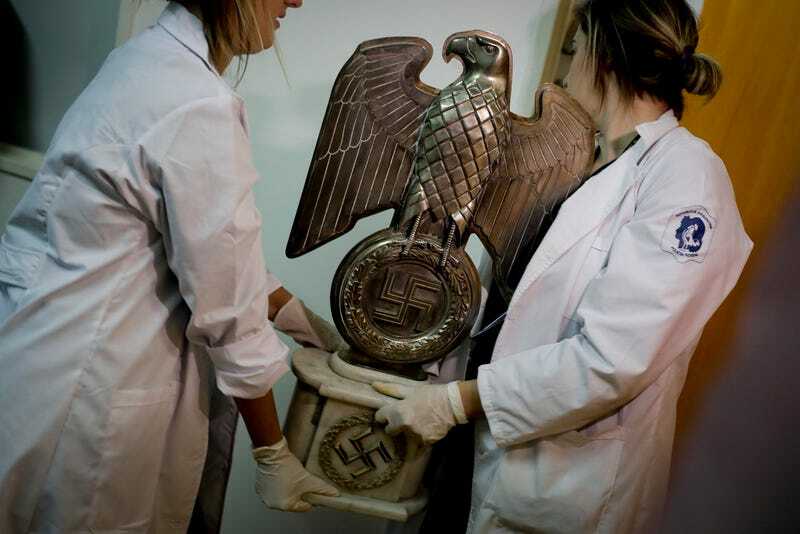 Federal police in Argentina recently discovered a time capsule of evil, hidden inside a house near Buenos Aires. 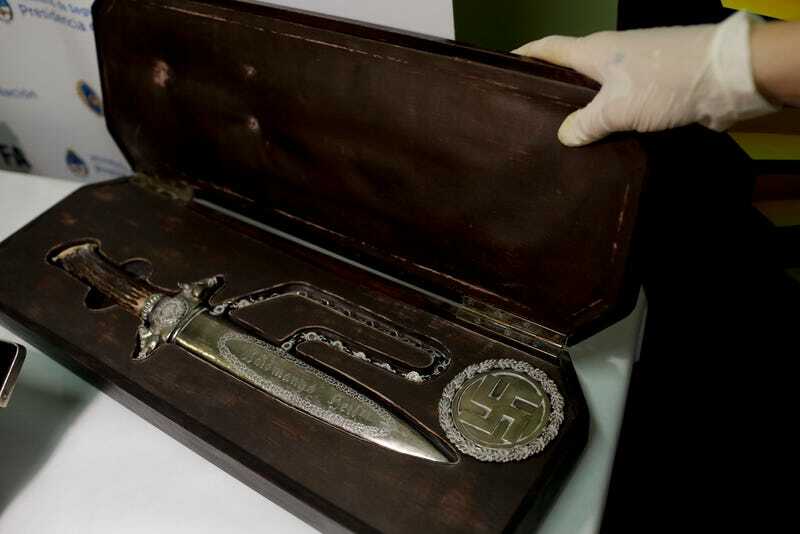 Roughly 75 Nazi artefacts, including everything from a large knife to Nazi medical devices to a photo negative of Adolph Hitler, were uncovered in a secret room. 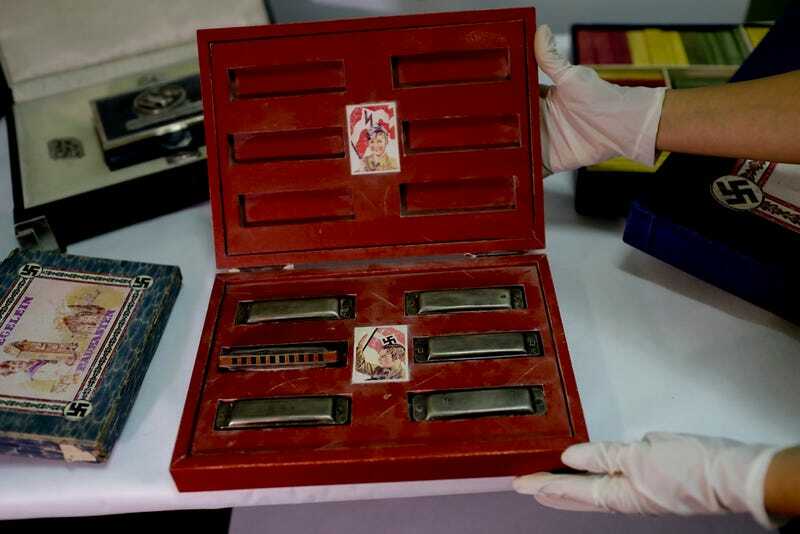 Police are investigating when and how the items entered the South American country. 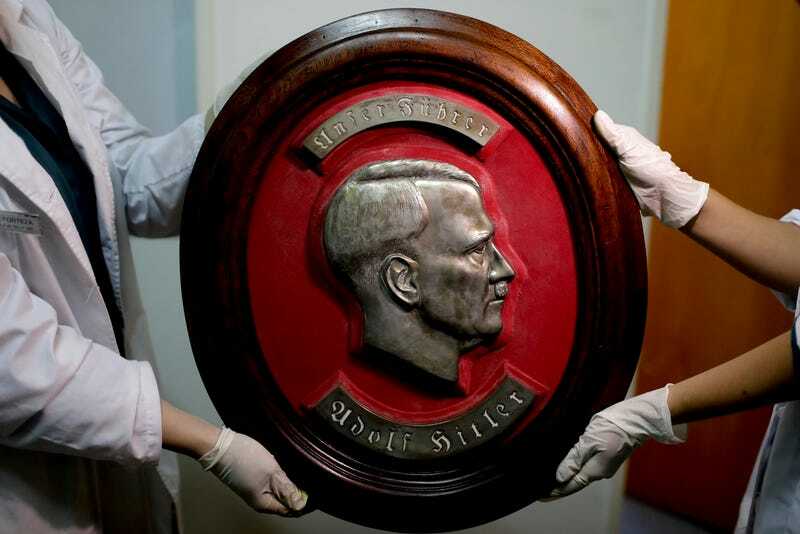 As Haaretz reports, agents from Interpol raided the home of the unnamed owner of the Nazi artefacts on June 8th. Some artworks of “illicit origin” were discovered on the north side of Buenos Aires, leading police to the man’s home. When investigators arrived they found a large bookshelf that was hiding a secret room. The man remains free, but it’s unclear if he will face any charges. Eichmann was discovered in Bueno Aires by Nazi hunters in 1960. He was brought to Israel and tried and hanged in 1962. Mengele escaped Argentina and fled to Brazil and later died in Paraguay. 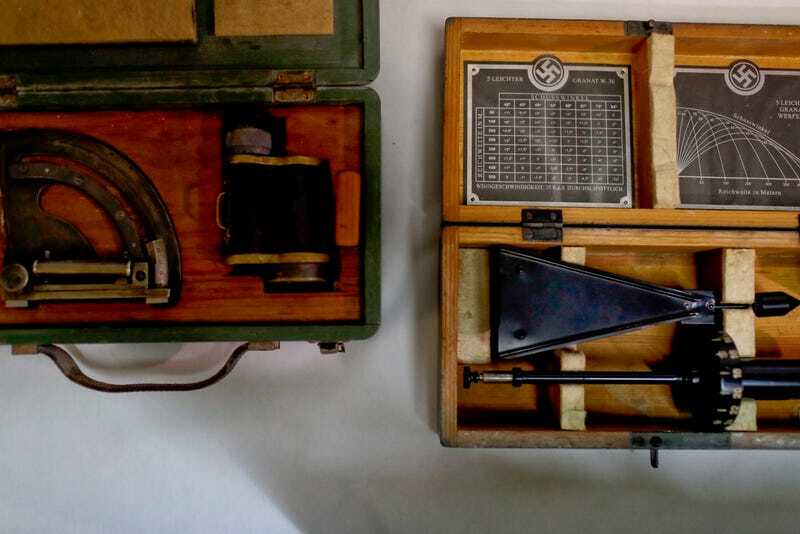 It’s not yet known if any of the items discovered this month personally belonged to Eichmann, Mengele or any other Nazis who escaped Germany. “This is a way to commercialise them, showing that they were used by the horror, by the Fuhrer. There are photos of him with the objects,” said Bullrich. Some of the most disturbing items in the collection are medical devices, including items used to measure the size of human heads. Nazi scientists travelled the world in the 1930s measuring heads of different peoples, believing in a pseudoscience that superior races could be determined through facial features.